Wood Mouse in the Forest of Dean. I noticed this Wood Mouse was regularly using the same hole, so getting the photo was simply a case of leaving the camera pre-focussed near the hole, and watching from a distance for the mouse to move in to position before firing the shutter remotely. The Wood Mouse is our most common and widespread wild rodent. It is an inhabitant mainly of woodland and fields but is highly adaptable and is found in most habitats if not too wet. It is rarely recorded on higher exposed ground with little cover. 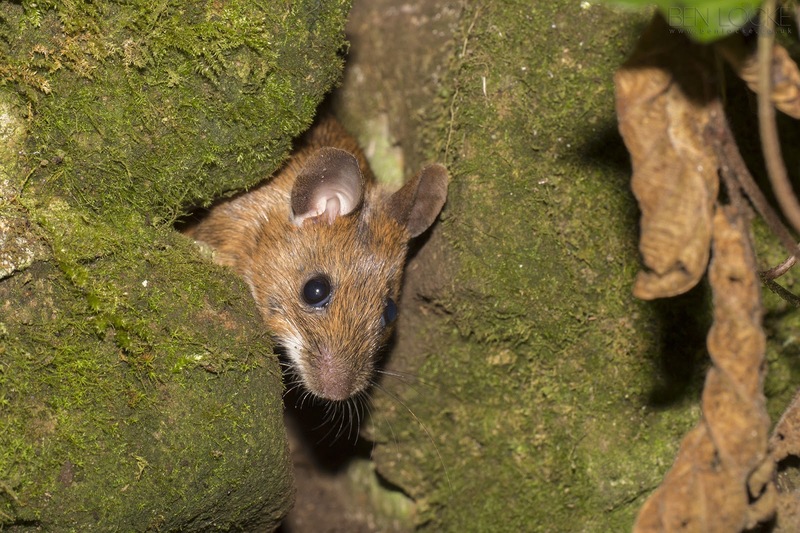 Wood mice are essentially nocturnal but some individuals may venture out in daylight.